I've admired this artist for a long time, and I knew I had to have something he made in my collection! 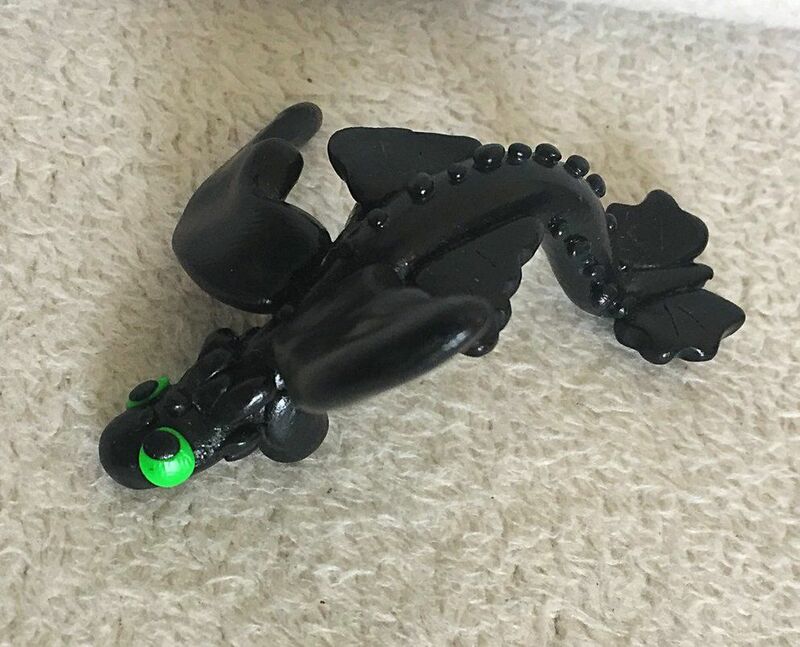 I chose Mega Toothless because frankly I don't have enough Mega Toothless and I just love the design sosososo much. This guy is one of a kind and made just for me! I love his pounce-y pose, and all those intricate details. I can look at him for hours on end just admiring all the work on him! 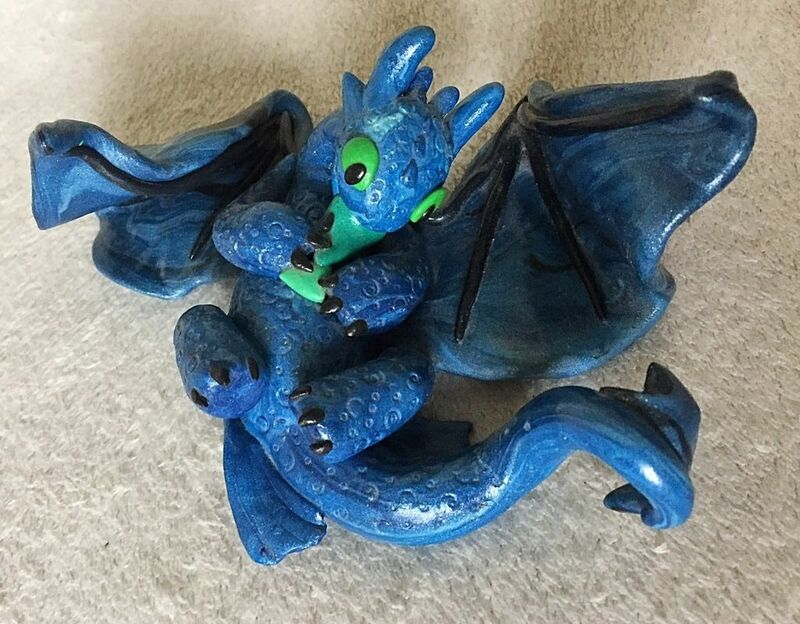 He's, like, my favourite sculpture EVER and I'm so glad I got a chance to commission this amazing artist. 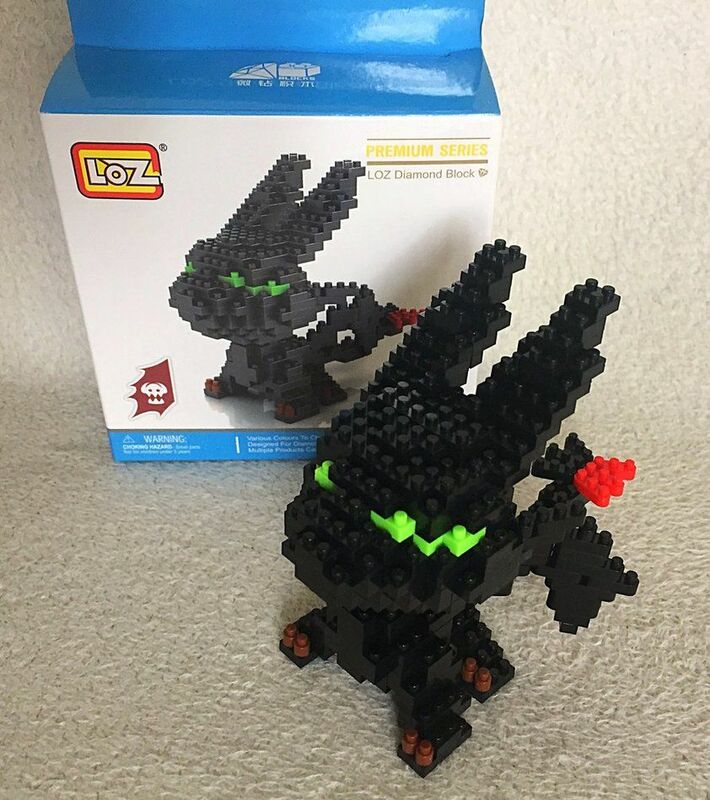 He's the king of my mega Toothlesseses! I don't think you'll ever see a better sculpture! The best bit? He's iridescent too, so he actually "glows"! The pictures that the artist took for his dA/portfolio are much nicer than the one I took, so see them below! 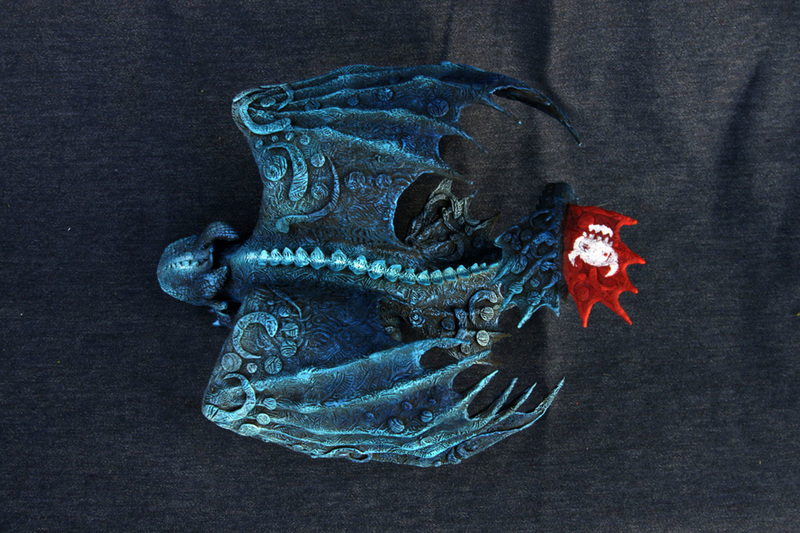 Isn't this just the most perfect, beautiful little Nightmare ever? 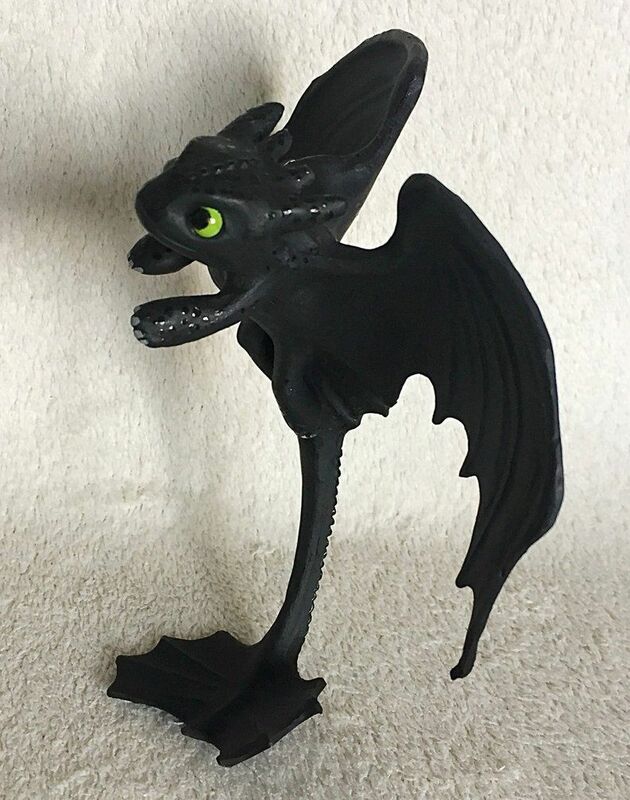 As you can see from this page, the ratio of fan-made Toothless sculptures made to literally any other character is about 100:1. 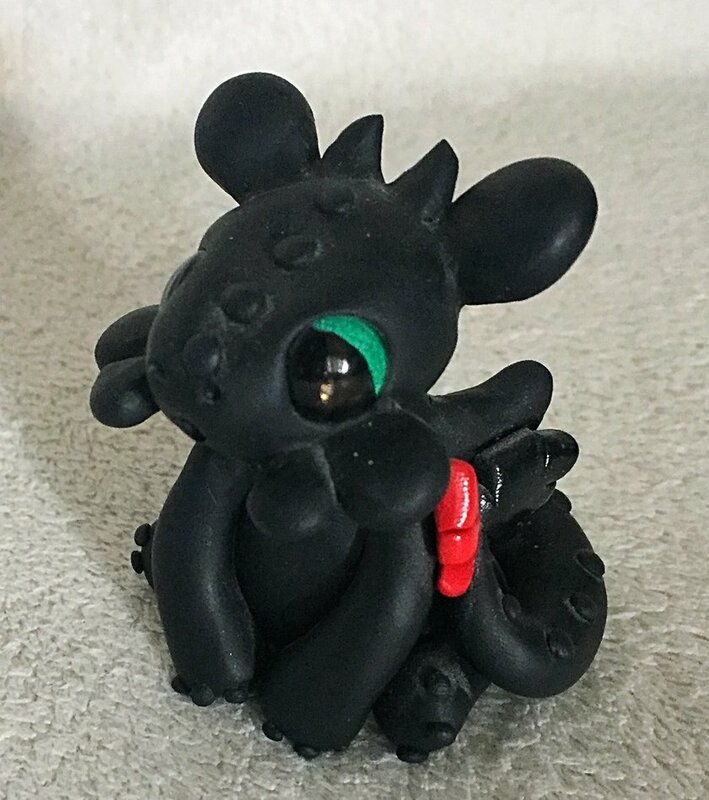 Toothless is cute, but it's nice to have variety! And the more Monstrous Nightmares, the better! 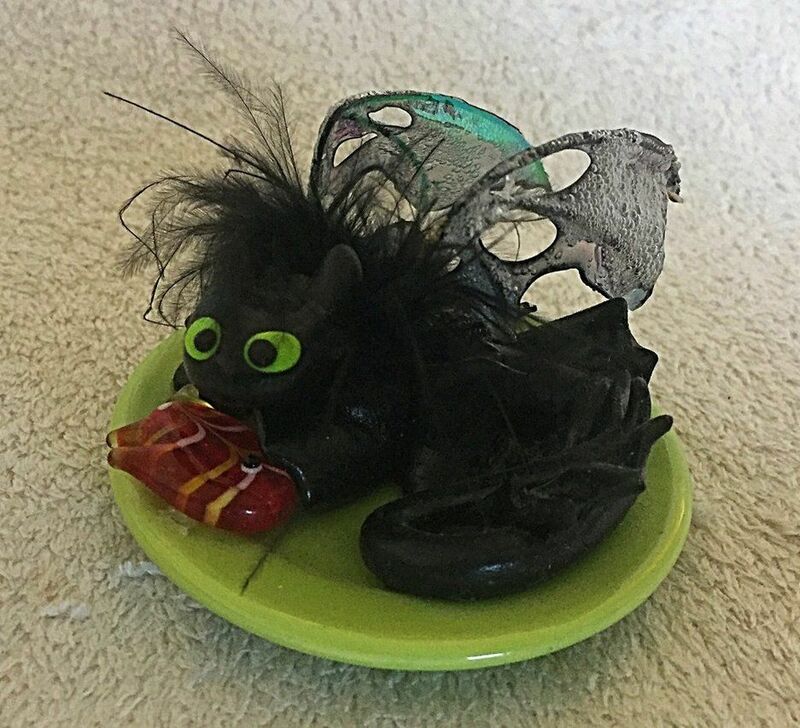 This lil guy is the most perfect representation of a Nightmare ever, and I absolutely love love love love love LOVE him to pieces! I can't handle it, his cuteness makes my heart hurt!!! I seriously love this thing. Like, I can't even express how much I love it. It's one of my most favourite purchases EVER. 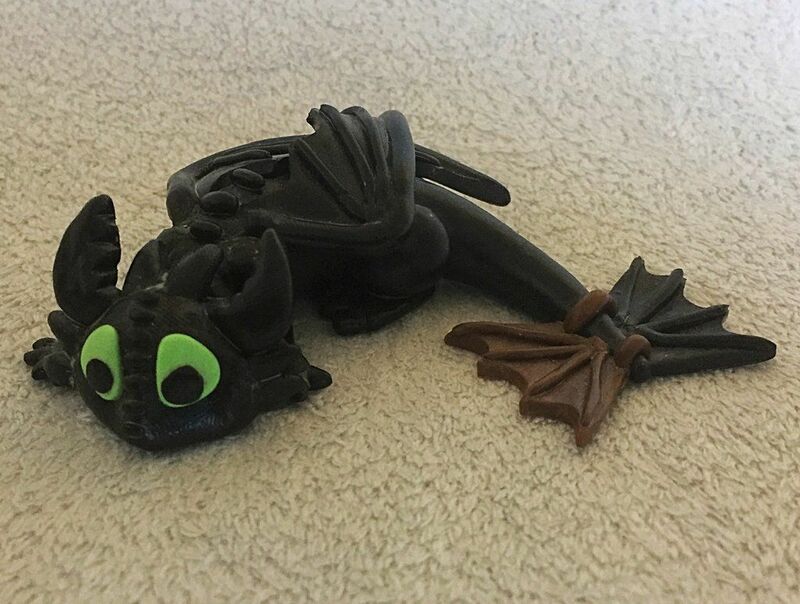 Toothless here is so well-made and unbearably adorable. Pair that with a beautiful blue tone (pretty unique colour choice) and a playful pose and you get one fantastic figure. Oh my gosh he's so tiny! 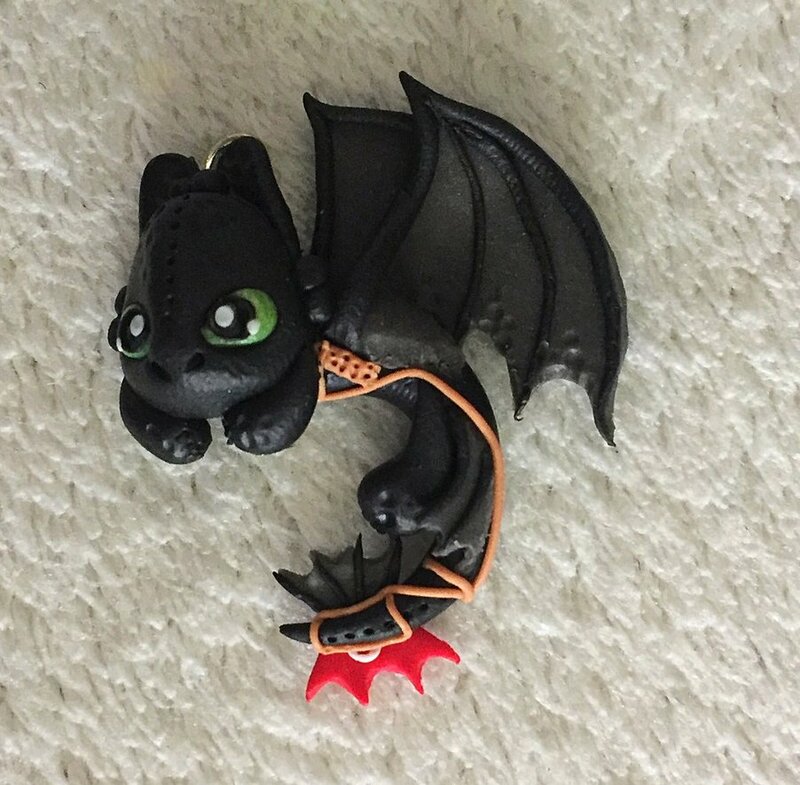 Tiny, tiny Toothless! 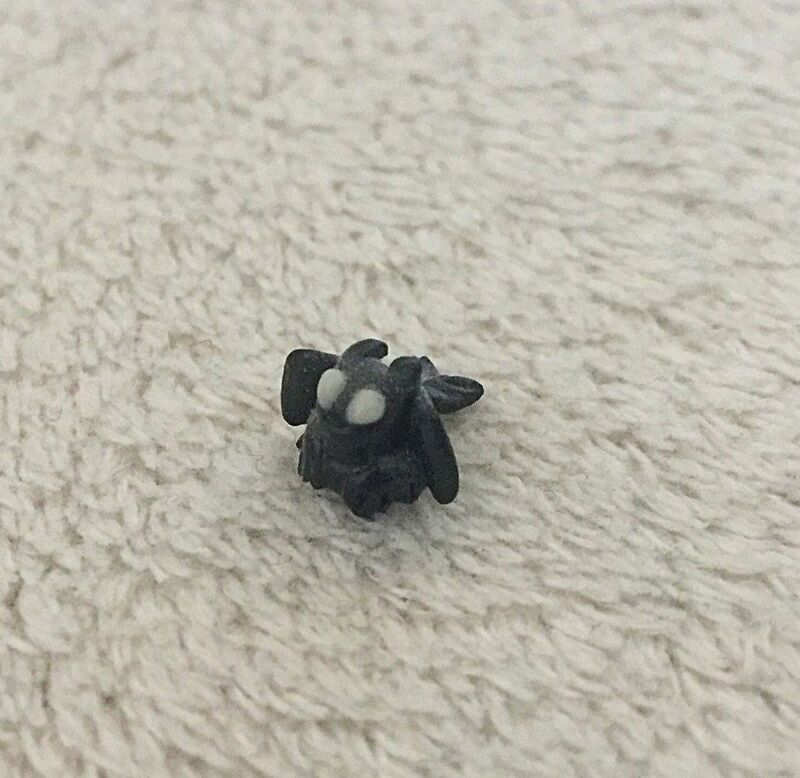 By far the smallest thing in my collection; the minute I saw him, I just had to have him and his tiny cuteness! 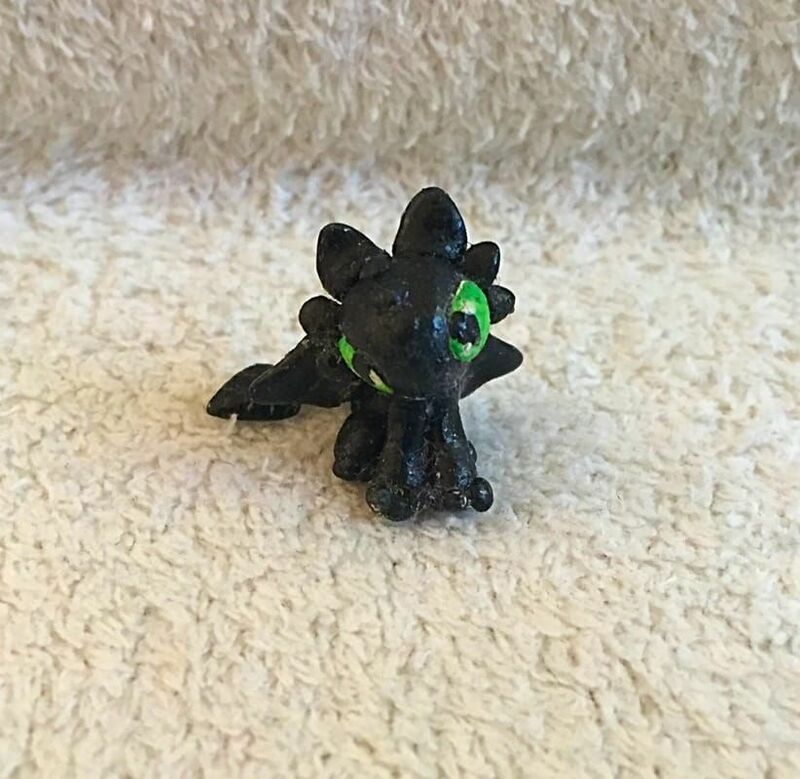 He has glow in the dark eyes, too! 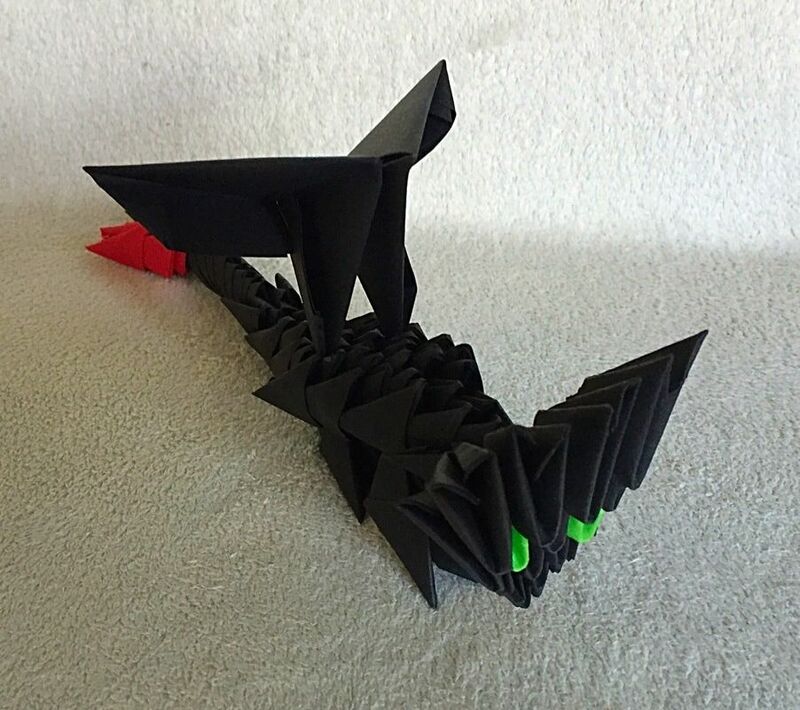 An origami is a sculpture. A sculpture of paper, but still a sculpture. 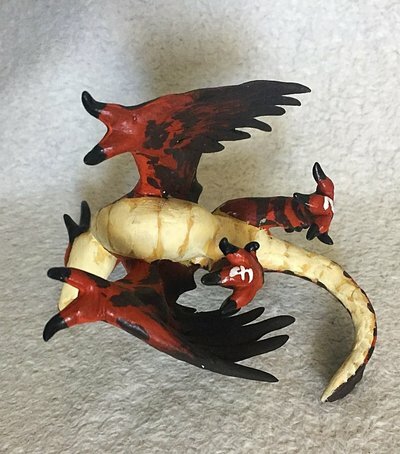 This lovely baby is incredibly special to me, as he was a Christmas present handmade for me by someone very special to me. 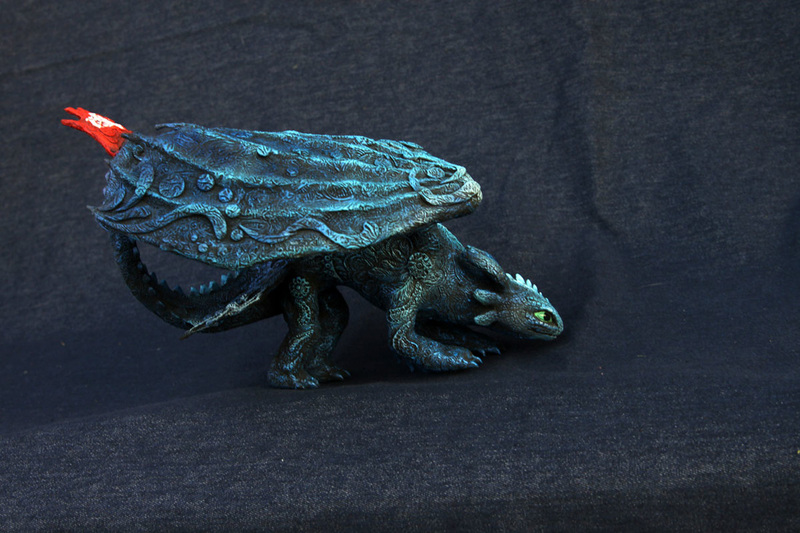 I really love the unique-ness of him, he's not just made from plain folded paper, but is made up of many bits of card to create a scaly effect! He's pretty big to boot, and overall a stunning addition to my collection! I've never had anything like him before, and I'll treasure him for years to come! I love his unique pose, and his cute little face! I put off buying him for the longest time, but oh man, was he ever worth it in the end! I just can't get over that adorable face!! 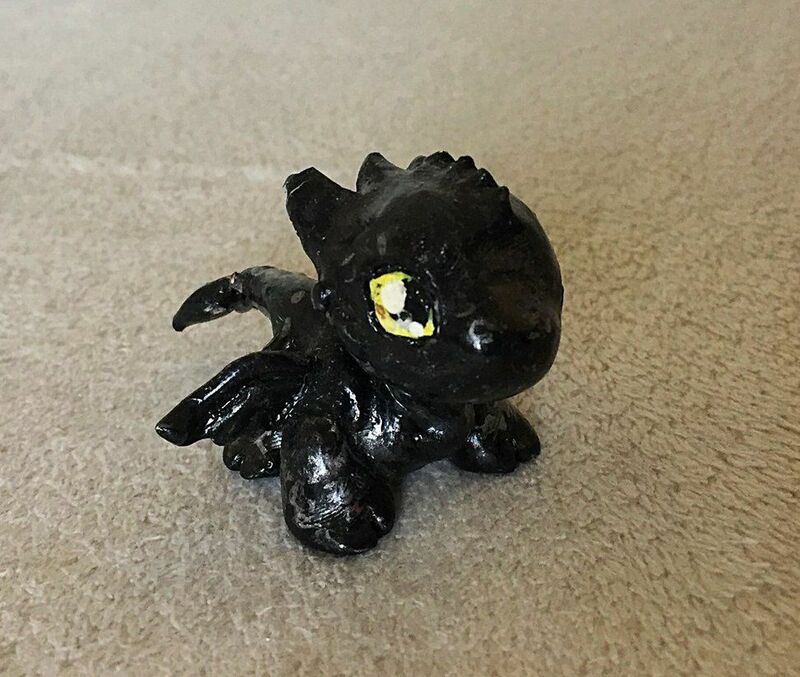 I don't really buy sculptures anymore, but this little cutie was too much to resist! He's tiny, but has amazing attention to detail; just look at those eyes, and his harness! Also the wings are so thin that they are slightly translucent, which is really cool. I love him a lot! I love this little cutie! He has beautiful glassy green eyes, and just the cutest pose! I love the way his tail is wrapped around himself, and the little curls on his wing tips! Okay, he's not technically meant to be baby Toothy, but he sure looks like one! He's just too cute! 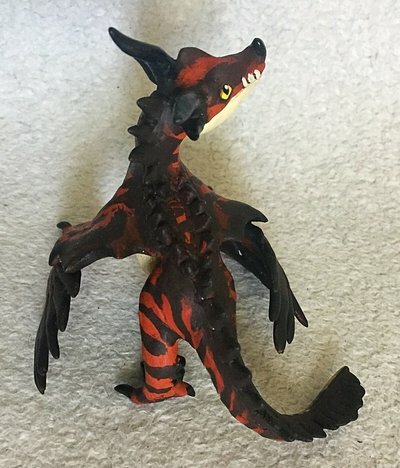 He's also the first sculpture I've ever seen that has Toothless' real colours; instead of being plain black, he's got his mottled grey pattern. His eyes are a lot greener in person, they just came out yellow in the photo! This isn't official, but I wish it was. It's really well designed, and he looks amazing when fully assembled! 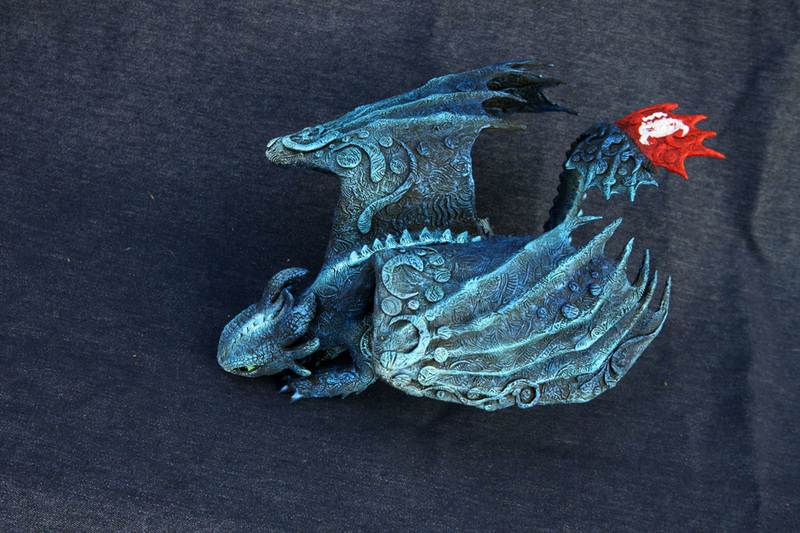 He took hours to make though; so fiddly and small. Also I'm really bad at legos and stuff. 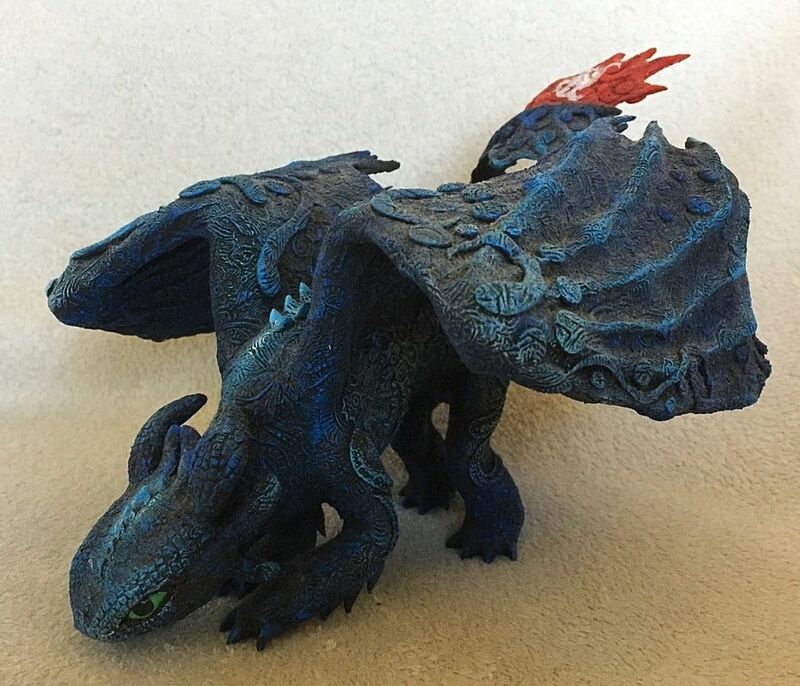 His wings and face... frill... things also move, which adds to his cuteness! 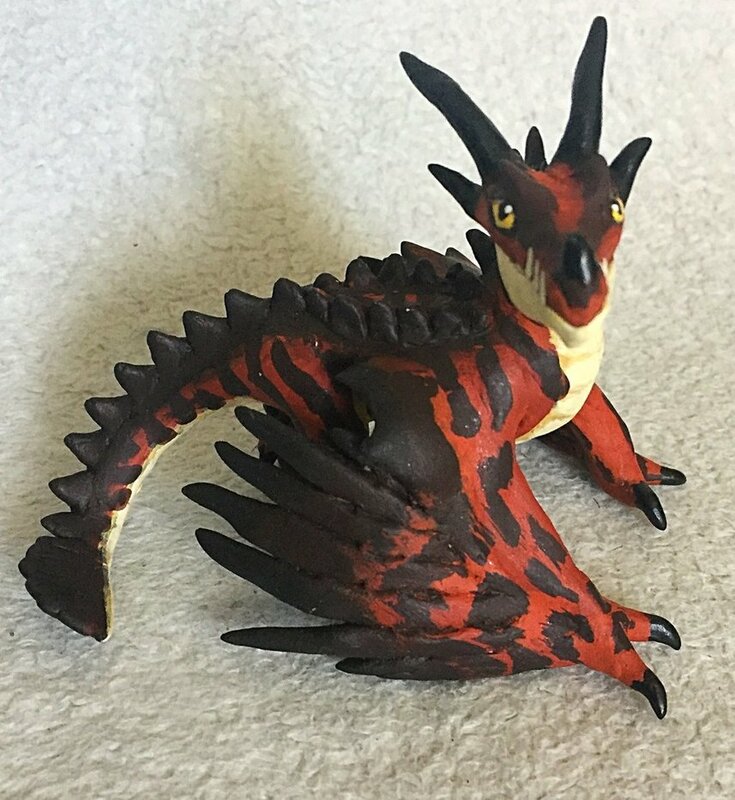 I rescued this cutie patootie of eBay because it seemed like no one else wanted him. I was surprised at how large he was, and his eyes are beautifully made! They shimmer in the light! He's an adorable little guy and I love him to bits! Another Toothy with a fish! This time it's bleeding out though. Ouch. 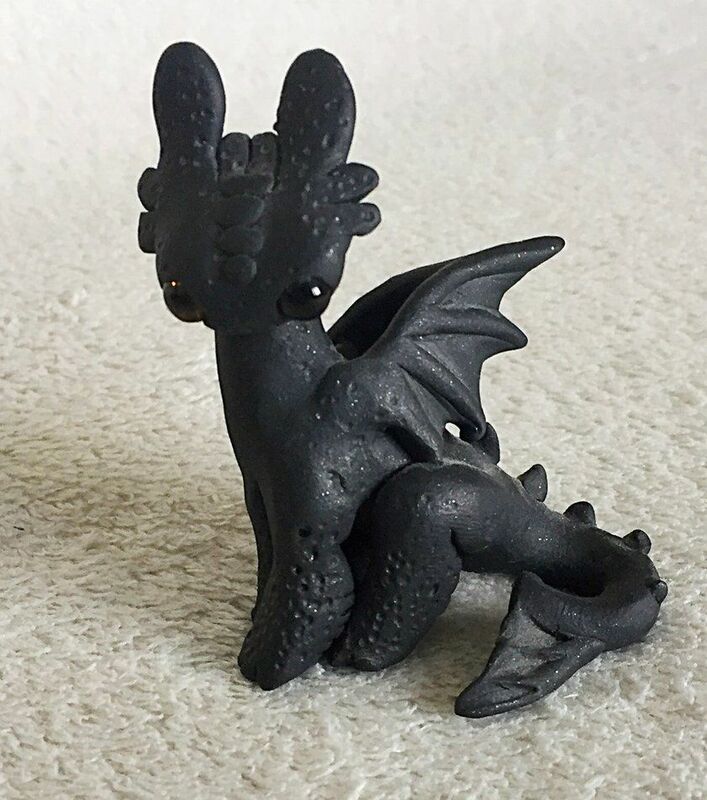 It's also my second mottled-grey Toothless! I really, really like his red tail fin, guys. And those sweet silver spikes too! And his little paws! 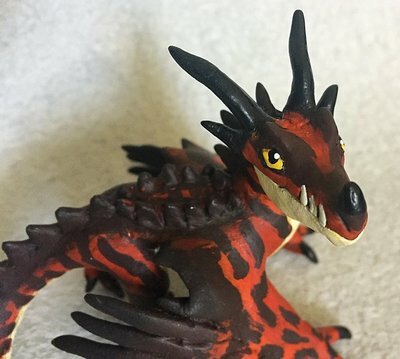 I call him punk Toothless because the spikes on his head look like an adorable Mohawk. This is one of my favourite sculptures, he's so cute! 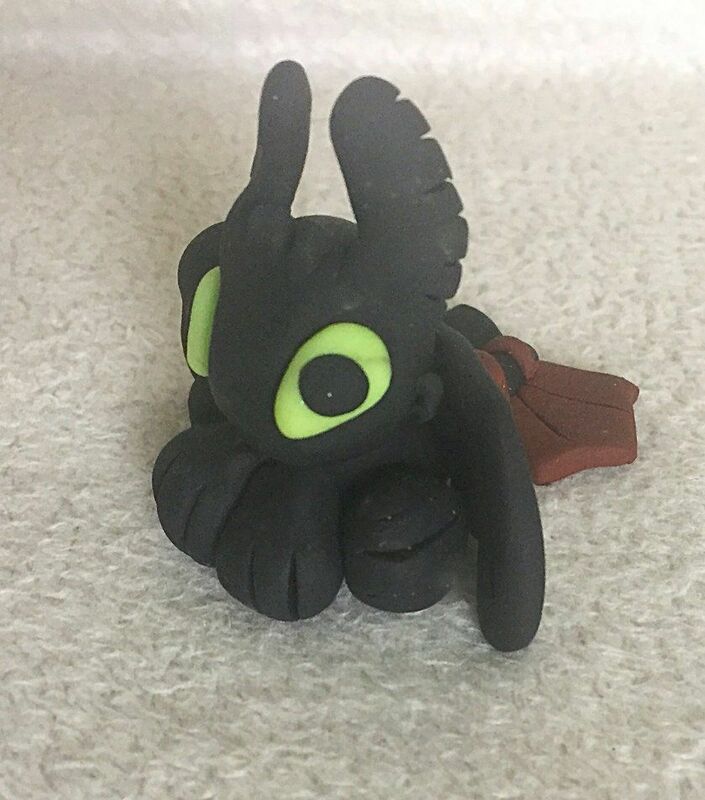 Another small guy, I love little Toothless! This one has really lovely eyes! 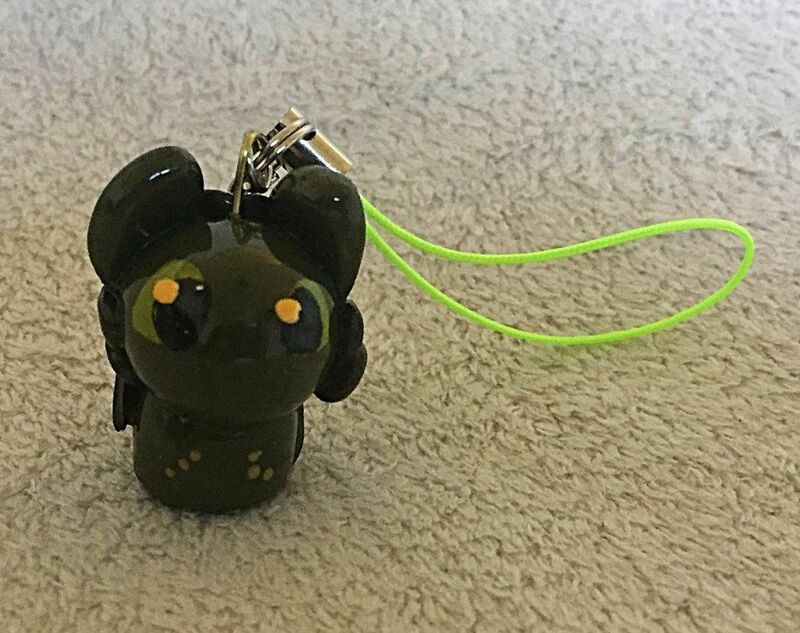 My first custom charm! Isn't he adorable? 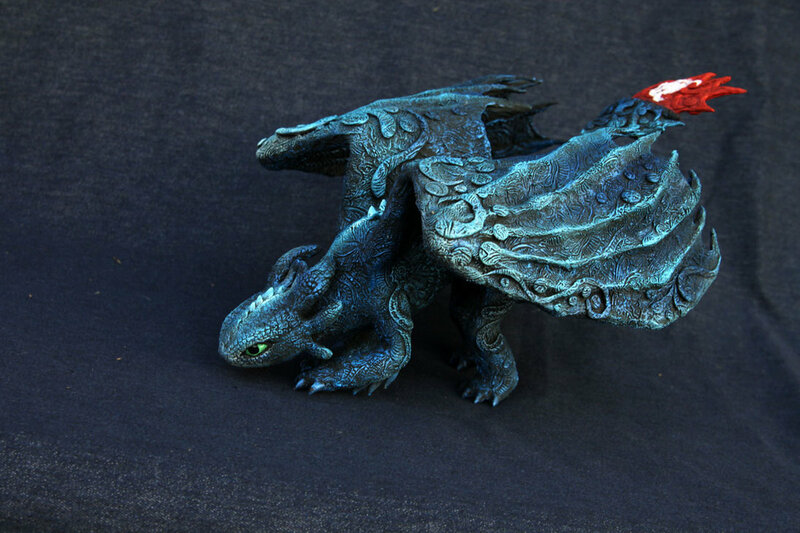 His eyes glow in the dark too! This is my second sculpture like that... soon, I'll just have thousands of green eyes staring at me when I turn my lights off. 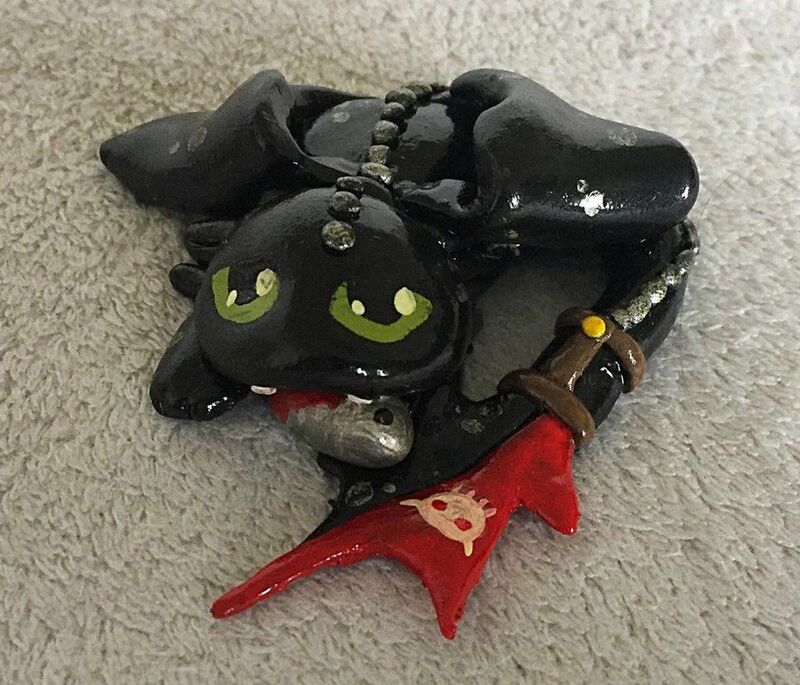 This guy comes from the same artist the made those two necklaces on the Other Customs page. He looks just as good in statue form! 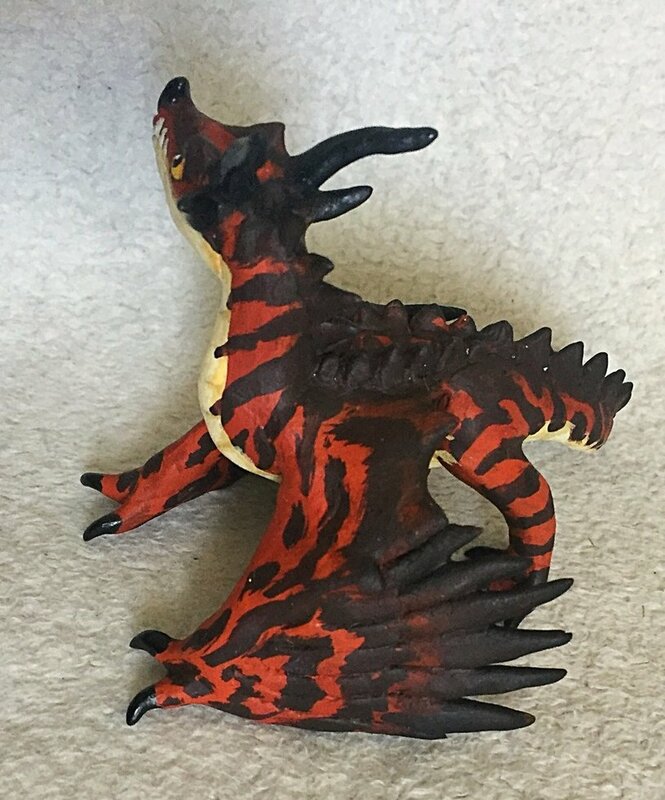 I actually bought him waaaay before I started collecting, so he's one of the originals. He's glittery, too! This is another amazing piece. I love his wings in particular! The artist used feathers and a glassy material, giving him a beautiful look. He's even crawled onto the plate to nab a little glass fish! What a lovely little pose! 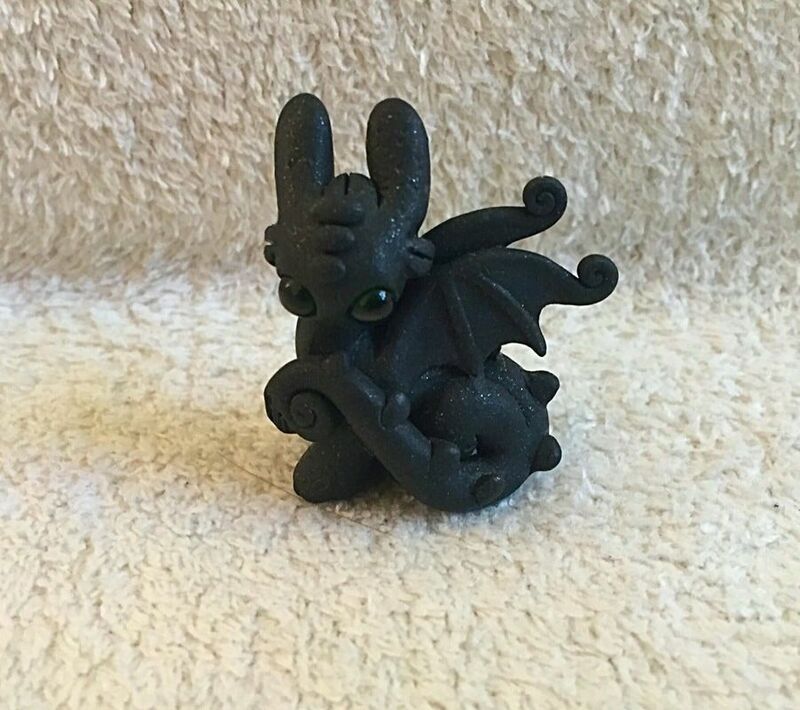 Toothless here looks more feline than ever, with his little rump raised as he's ready to pounce! Adorable! A Christmas present! 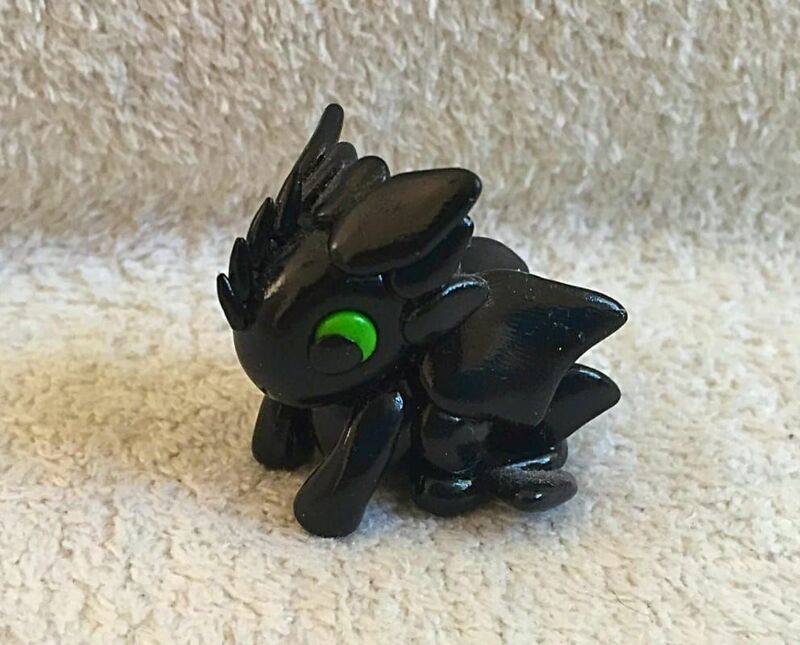 Another Toothless to add to my army! He's so cute with those big paws! If there's one thing you need to know, it's that I buy an ungodly amount of sculptures. 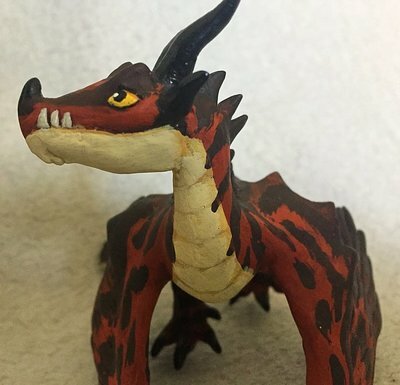 There's so many talented sculptors out there! They also happen to be my favourite art form, so I'm double biased. Anyway this cutie is one of my earlier buys, but one of my favourites!